A round-up of the main stories in Romania today. 2019 budget. Fresh talks on this year's budget are held today within the ruling coalition formed by the Social Democratic Party and the Alliance of Liberals and Democrats, at the finance ministry and with the Bucharest general and sector mayors. At a meeting held on Wednesday and also attended by the Social Democrats' leader Liviu Dragnea, mayors were promised 27% more funds than last year. The mayors of the big cities say, however, that a budget increase is not enough if the government transfers social protection expenses to the local administration. The government is to adopt the budget bill on Friday, before sending it to Parliament. This year's budget is based on an economic growth rate of 5.5%, a deficit level of 2.5% and an annual inflation rate of 2.8%. Conference. Romania has today become a regional model for combating terrorism and xenophobia and for the education and measures to keep alive the memory of the Holocaust. This statement was made today by prime minister Viorica Dancila at the opening of a conference entitled "The Fight against antisemitism: a common approach to better protect Jewish communities in Europe - from policy to action"hosted by Romania as holder of the presidency of the Council of the European Union. Also today, the Romanian prime minister is having talks in Brussels with the First Vice President of the European Commission Frans Timmermans and the President of the European Council Donald Tusk. EU. Terrorism, police cooperation, the Schengen area and migration are the main topics on the agenda of an informal meeting of interior ministers from the EU member states that begins today in Bucharest. The meeting, which is organised by the Romanian presidency of the Council of the EU and is chaired by the Romanian interior minister Carmen Dan, is attended by the Commissioner for Migration, Home Affairs and Citizenship Dimitris Avramopoulos, the Commissioner for the Security Union Julian King, the EU Counter-Terrorism Coordinator Gilles de Kerchove, the chair of the Committee on Civil Liberties, Justice and Home Affairs Claude Moraes, FRONTEX's Executive Director Fabrice Leggeri and other EU officials. Nomination. President Klaus Iohannis has again rejected the nomination of Lia Olguta Vasilescu, the Social Democrats' proposal for development minister. He has sent a letter to prime minister Viorica Dancila informing her of his decision and detailing his reasons. The president says Vasilescu does not have the necessary training and experience for such complex areas as regional development and public administration. The Social Democratic Party has said in response that Klaus Iohannis would never have become the president of the country based on the criteria on which he rejected Lia Olguta Vasilescu's nomination. The party also recalls that the president did sign before Vasilescu's appointment as labour minister, where she oversaw the new, complex, salary and pension laws. This is the third time the president has rejected her nomination and is also expected to announce his decision regarding the nomination of Mircea Draghici as transport minister. The talks on the appointment of the two ministers began last November, when prime minster Viorica Dancila reshuffled her government. Court. The Constitutional Court of Romania says the amendments to the criminal code made by the ruling Social Democratic Party and the Alliance of Liberals and Democrats on the prevention, discovery and penalty of corruption make corruption accepted and tolerated and pave the way for the violation of fundamental rights and liberties, which is a threat to the rule of law. The Constitutional Court has thus justified its decision to accept some of the challenges submitted by the President's Office, the High Court of Cassation and Justice and the parliamentary opposition. The Court also says the scope of the crime of influence peddling is restricted by making it conditional on material gains and the actual intervention of the public servant, thus in effect decriminalising acts of corruption. The same applies to abuse of office, whose scope is also restricted. Protests.  Officers, police and penitentiary agents and military in the reserve today begin a series of two-day protests in Bucharest demanding better work conditions, fairer salaries and an end to the discrimination of army pensioners. The protests are staged outside the interior and justice ministries and the Parliament Palace. Trade unions says the salaries of defence, public order and national safety staff were frozen by government order, while army pensions were cut by more than 30% following the elimination of certain benefits. They also complain that budget funds to improve work conditions and provide equipment and logistics have shrunk constantly. Film festival. The Romanian production "Monsters" directed by Marius Olteanu will be screened as part of the 69th edition of the Berlin Film Festival which begins today. The film, which is Romania's only entry in Berlin this year, will have its opening night on Saturday. It is competing with 16 other productions. "Monsters" shows a young married couple over the course of one day. Last year, Adina Pintilie's feature film debut "Touch Me Not" won the Golden Bear trophy in Berlin. The production has been hailed for challenging the borders between fiction, documentary film and visual arts and its unconventional exploration of intimacy.